When a legendary magic trick goes fatally wrong on live television, everyone believes that it had been a horrible accident, except for an aging magician in a private New York hospital and former streetchild-turned-NYPD officer Kathleen Mallory, who must search for a killer with a taste for the theatrical. There has always been a touch of magic, a whiff of deception and illusion about Mallory, the New York homicide detective who never lets anyone call her Kathy. 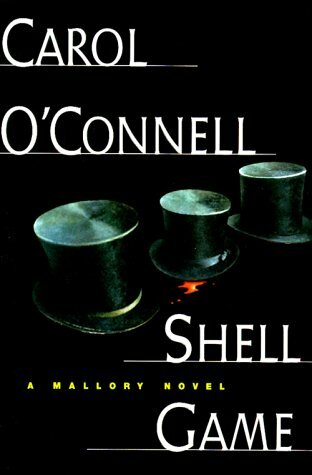 In highly praised books such as Killing Critics, Mallory's Oracle, and The Man Who Cast Two Shadows, Carol O'Connell has wrapped her fascinating, frustrating character in a cloak of myth. So it's no surprise that in her fifth adventure, Mallory is literally surrounded by magic and magicians, trying to find out why an old illusionist was killed while re-creating a famous trick involving four crossbows. All of the suspects are magicians themselves, connected to the past and each other by events in Paris during World War II. One of them, a self-declared madman named Malakhai, lives in a mental hospital and maintains an elaborate fantasy involving his dead wife. There's a marvelous set piece early on--a poker game at which this invisible woman not only takes a seat but also makes bets, wins hands, and smokes lipsticked cigarettes. Of course Mallory is largely on her own in the investigation: she insults her only two friends and alienates all her police colleagues with her weird, unorthodox methods.